There’s more drama in The Real Housewives of Beverly Hills, and this time, it’s between Yolanda Foster and Lisa Rinna. The altercation began earlier this season when Foster revealed that two of her children, Bella and Anwar, were also diagnosed with Lyme disease, a claim Lisa Vanderpump and Kyle Richards expressed their doubts over. Erika Girardi told Foster about what the women had said, but when Foster went to confront Vanderpump and Richards, she told them that Rinna was the one who told her of the women’s doubts. And now the feud has turned really nasty because Foster and Rinna have decided to make their grievances public. Rinna took to Twitter to reveal that she had been thrown under the bus. Rinna then retweeted a message from Richards. Foster commented on the situation, along with the #KidsAreOffLimits, but Rinna reacted, saying she was the scapegoat. It wasn’t just being Foster’s scapegoat that Rinna accused her of, as she also retweeted a fan’s message about Foster being a manipulative person. 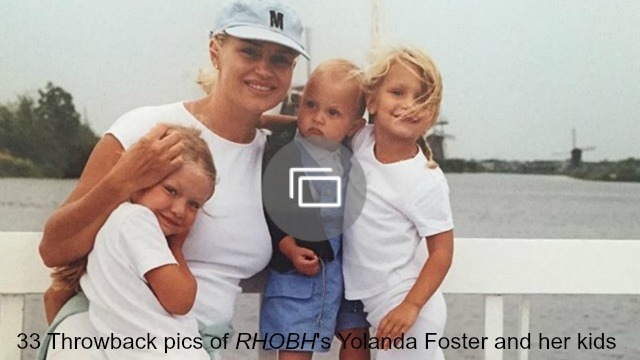 The feud continued when Rinna blasted Foster for being the one to bring her children’s health into the situation in the first place. And Rinna had the last words when she slammed Foster for using so much energy to put their issues on social media. It’s evident these two women are not going to kiss and make up anytime soon, but who do you think is in the wrong this time around? Let us know your thoughts in the comments below.